Westbourne House, 123 Princes Avenue, Hull, HU5 3JN. Tel. 01482 497575 & 497576. 9am to 11am Drop-In for light refreshments and access to professional support services including accommodation help, benefits advice, and health services. Also – 24/7 access to washroom facilities for rough sleepers. Futures offer intense 24 hour support packages to homeless rough sleepers and individuals with various issues acting as a barrier to independent living. The service provides advice, guidance, signposting and year-round emergency bed provision. A range of services exclusively for women including domestic abuse support, help with accommodation, benefits and legal advice, and social activities. Monday to Friday, 10am to 4pm, just call in. Also – Umbrella Housing Project, housing application drop-in service. Applicants will need to provide 2 x proof of identification, and names/addresses of two people to give references, bring these with you. Drop-In at Together Women Project, 10am to 1pm, for support of vulnerable women. HHCP deliver a range of services in Hull and the East Riding, including: on-street outreach teams supporting rough sleepers; fast referral food parcels with delivery; advocacy, support, guidance; and a move-on service helping clients out of temporary accommodation and into longer-term homes (referral only). Emmaus Hull & East Riding’s rough sleeper outreach and support service delivers emergency safety and advice to those living on the streets, also helping people into emergency safe accommodation. Operates 6am to 10pm daily. Dock House, St Peter Street, Hull, HU9 1AF. 9am to 11am, Breakfast and access to facilities/support for rough sleepers. A project delivered by Humbercare Ltd & HullHARP. 117 Cherry Tree Lane, Beverley, HU17 0AY. Open 9am to 5pm for advice and help with homelessness. Tel: 01482 868383 (Jim Sharp). Community Kitchen, Shower, and Drink Project. Free lunch every wednesday, 11.30am to 1.15pm. Free shower, and drinks, with microwave available, Toll Gavel Church foyer, 4pm to 5.15pm. Zion United Reformed Church, Hallgate, Cottingham. Call in 10.30am to 12.30pm to collect food parcels. You must register first – suggested donation of £1 to register, please also provide proof of address. 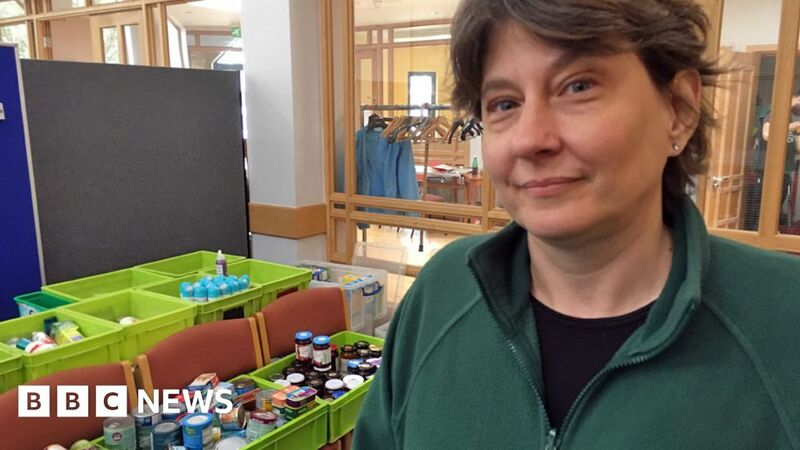 Cottingham Food Bank is available to people living in the HU16 postcode area, and is run by Cottingham churches – who’ll offer you a warm welcome and friendly support. 151 Fairfax Avenue, Hull, HU5 4QZ. Support and accommodation for single homeless people, aged 16yrs and over. Accommodation available includes some units for single parents with one child. Support available includes help with claiming benefits, budgeting and other daily living skills. Referrals to specialist agencies as necessary, eg around drug or alcohol problems. Residents may move from communal units to self contained units during their stay. Hull & East Yorkshire Mind. Wellington House, 108 Beverley Rd, Hull, HU3 1XA. 9am to 5pm, You can access a wide range of services, including one to one support, group sessions, mentoring and a range of other mental health support services. Please call our info line on 01482 240133 for more information. 07817 035430 – Get in touch anytime. Addiction recovery and support, 12-step courses delivered in various venues in Hull and East Riding. 62 King Edward Street, Hull, HU1 3SQ. 9am to 10am, & 1pm to 3pm, Drop-In – for refreshments, support services for health, addictions, counselling, training activities, HIV support, arts, crafts, cookery, life skills. Also, 9am to 10am by appointment – showers and washing facilities. clothes & household goods. Food parcel collection (referral-letter holders only). Also, call in to chat with volunteers for advice on which organisations can refer you to FoodBank, and for lots more informations about other help available to you. Albion Street car park, behind BHS, Hull. 19-21 Field Road, Bridlington, YO16 4AU. Call in 9am to 5pm, Monday to Friday, for resettlement and community support, food parcels (emergencies only), and emergency accommodation support for 16-24 yr olds. supported accommodation for single young people aged 16–25 years. Assistance & advice on: Education, Volunteer and Work Placement, Housing Benefit, Council Tax and sign posting to external support in a wide range of areas. Open 24/7 for advice and support. Trinity Methodist Church, Clifton Gardens, Goole, DN14 6AS. Call in 9am to 5pm for general support and advice, including clothing, and help with debt and money worries. FoodBank collections today, by referral only, 10am to 2pm. Tuesday to Friday 10am to 4pm. Emmanuel Church, Cardigan Road, Bridlington, YO15 3JT.